MRM’s News Bites has news from Four Corners Property Trust, Technomic and GroundTruth, General Mills Foodservice, Grubhub and LevelUp, Seasoned, Bridg, Wayback Burgers, Gather, Princess Cruises, B.GOOD, DoorDash, Tunity, Como, Baldor Specialty Foods and Les Dames d’Escoffier International. Four Corners Property Trust (FCPT) signed a definitive agreement to acquire up to 48 corporate-operated Chili’s restaurants through a sale-leaseback transaction with certain subsidiaries of Brinker International, Inc. (NYSE: EAT) for a purchase price of up to $155.7 million on initial annual cash rent of up to approximately $9.9 million. As of the end of Brinker’s third fiscal quarter on March 28, 2018, Brinker owned, operated or franchised 1,686 restaurants under the names Chili’s® Grill & Bar (1,634 restaurants) and Maggiano’s Little Italy® (52 restaurants). The transaction is expected to close on or around August 8, 2018, subject to due diligence and customary closing conditions. The properties are under individual leases with 15 years of initial term, rent increases of 10% every five years during the initial term and a corporate guarantee from Brinker International, Inc. If the Company is successful in closing the transaction and acquires all 48 properties, Brinker would comprise approximately 8% of the Company’s cash rent and the Company’s exposure to Darden would decrease to approximately 79% of the Company’s cash rent. Additionally, closing on all 48 properties would have a positive impact on FCPT’s portfolio weighted average lease term, increasing it from 12.5 to 12.7 years. The properties are located principally in Florida (14 properties) and Texas (13 properties), but are spread across 15 states and include exposure to western U.S. geography (AZ, CA, CO, FL, GA, LA, MS, NC, NM, NV, OK, SC, TN, TX, VA). The sites are within well-located retail corridors with high traffic and attractive demographics. FCPT believes that rent is well-supported with conservative EBITDAR coverage, averaging 3.9x for the portfolio. FCPT has significant cash on hand ($88 million as of 6/30/2018) and an undrawn corporate revolver ($250 million) to finance this acquisition. FCPT expects to remain below the low end of its stated leverage thresholds pro forma for this transaction. Technomic Inc. and GroundTruth announced a partnership to further enhance Technomic’s brand sales performance-tracking product, Transaction Insights. Transaction Insights already features ongoing purchase data from more than 3 million consumers, representing more than 18 million monthly foodservice visits. Unprecedented transparency allows users to see every competitive brand within the leading 200 chains, down to the market level, and proprietary modeling methodology based on Technomic’s deep expertise in the foodservice industry provides unparalleled accuracy. Which restaurant chain is winning breakfast in Dallas? Which QSR is gaining market share against leading competitors? How have they grown business across dayparts and what initiatives may be driving this? How has a new menu item or media campaign impacted foot traffic? Celebrating great food and flavors from coast to coast, General Mills Foodservice announces the five Regional Winners in its 4th Annual Neighborhood to Nation™ Recipe Contest, which gives independent family or “neighborhood” restaurants and food trucks the chance to win up to $80,000 in cash and prizes and bring hometown pride to their communities. The Grand Prize Recipe Winner will be named from among the five Regional Winners in late August. The only foodservice recipe contest of its kind, the 2018 Neighborhood to Nation Recipe Contest honors five Regional Recipe Winners who each receive $5,000 in cash and an additional $1,000 to share with a local charity of their choice. This year’s contest was the first to include food trucks as well as more traditional establishments. One of the five regional winners will also be named the Grand Prize Recipe Winner and receive an additional $25,000 in cash and $5,000 to share with a charity as well as a three-day trip for two to the Food Network & Cooking Channel New York City Wine & Food Festival, the premier food and wine event celebrating America’s favorite foods. Nick Shipp, West Region, Executive Chef and Partner, Upper West Restaurant in Santa Monica, California, for his Mushroom Tart with Tomato Jam, Goat Cheese and Fresh Oregano, top photo. Recipes for the Neighborhood to Nation Recipes Contest were judged based on taste, appearance, creativity and foodservice viability. General Mills will travel to the Regional Recipe Winners’ hometowns, and the winners’ staff, customers and community will be invited to a special check presentation and celebratory event. The Grand Prize Recipe Winner will be determined by comparing the total scores for each of the five Regional Winner recipes and will be announced in late August after each of the winners’ Regional hometown celebrations take place. Grubhub will acquire LevelUp. Matt Maloney, Grubhub’s founder and chief executive officer said LevelUp’s restaurant-facing technology will help Grubhub provide the most comprehensive solution for restaurants, powering everything from online demand generation to fulfillment for restaurants. LevelUp’s world-class technology and team will simplify Grubhub’s integrations with the nation’s top restaurant brands, provide more channels to attract and engage diners, and position us to dramatically accelerate product development for valuable restaurant-facing tools, he added. With the addition of LevelUp, Grubhub will offer national and independent restaurants the industry’s most comprehensive solution to drive online delivery and pickup orders, from demand generation through fulfillment. In addition to making it easier for restaurants like KFC, Taco Bell, Bareburger, and Roti to integrate with the Grubhub marketplace, LevelUp accelerates Grubhub’s existing point-of-sale (POS) integration capabilities and provides restaurants with powerful CRM and analytical tools to help them drive more diners to their platform and increase volume from existing diners. Grubhub has entered into a definitive agreement to acquire LevelUp for $390 million in cash, subject to standard closing conditions, including the expiration of U.S. antitrust waiting periods. The transaction is expected to be funded through cash on hand and Grubhub’s existing credit facility. Foley Hoag is serving as legal counsel to LevelUp in connection with the acquisition and Kirkland & Ellis LLP is serving as legal counsel to Grubhub. Bridg announced the Bridg Customer Data Platform (CDP) is launching this fall. The first-of-its-kind Bridg CDP is designed specifically for the needs of restaurants and retailers, making guest data more accessible and actionable than ever before. For the first time, restaurants and brick-and-mortar businesses will have the same level of insight available to online retailers. Whereas POS transaction data is typically underutilized for marketing in brick-and-mortar businesses compared with online businesses, Bridg CDP takes valuable POS transaction data, and combines it with loyalty and ordering data to create robust, individual unified customer profiles. Profiles are then augmented with social media and other marketable identities, making it possible for brands to engage previously unreachable guests. The all-new platform powers a new B2C CRM, giving marketers a powerful Segment Builder to create audiences for marketing on nearly any owned or paid channel plus daily customer lifecycle insights. With both opt-in and purchase data, Bridg CRM allows marketers to make decisions based on the most granular and accurate guest data available. The underlying Bridg CDP also makes data accessible through a variety of APIs, making it possible to input segments, insights and more directly into enterprise environments. Ecommerce businesses such as Amazon have long enjoyed the benefits of being able to connect guests with their purchases. However, brick-and-mortar retailers and restaurants have not. Unlike making a purchase online, connecting a physical, POS-based purchase to guest identity has not been possible except for through loyalty clubs or other opt-in programs. Customer Data Platforms are central locations for consolidating customer data that significantly reduce the time and resources required to clean, standardize and integrate data – information which is ultimately made accessible through a CRM tool. Bridg CDP takes things further by matching existing guests to Bridg Bureau™, which enhances incomplete guest profiles with proprietary details, allowing for precision segmentation and campaign targeting. Brands currently using the Bridg platform today can identify their guests and, more specifically, which guests are new versus regular, one-time or lapsed. In its Fall 2018 release, Bridg will debut a new interface with category-leading CRM functionality that allows for further guest segmentation, analyses and retargeting. Marketers using the Bridg platform will also be able to export segments of unified and augmented data back to their email, SMS, social media, display, mobile, video advertising and other channels. Bridg CDP. The underlying data pipeline powering Bridg CRM, Bridg CDP consolidates disparate silos of customer data, including usually-untapped POS transaction data, to create a single view of the guest that incorporates all of their interactions with the brand. Bridg CRM. The first true business-to-consumer CRM for restaurant and retail brands including a Segment Builder and deep lifecycle and activeness insights, giving marketers access to every customer, including those who’ve yet to opt-in to loyalty or similar programs. Bridg CRM also includes an API Library to integrate with third-party analytics tools, marketing platforms and communication channels. Email, Loyalty and Mobile Applications. Optional, built-in and integrated communications channels including an email platform with revenue attribution, quick-to-market mobile template apps, loyalty programs, SMS/push messaging and more. Seasoned named restaurant-technology veteran, Ware Sykes, as Chief Executive Officer. In January 2017, Seasoned was spun out from HotSchedules, a TPG Growth-funded company, and the leading provider of back-office technologies that serves 167,000 restaurants and 2.8 million restaurant professionals. Previously, Sykes was CEO of Nowait, the first mobile network for casual-dining restaurants that pioneered the ability for consumers to “get in line” remotely, which was acquired by Yelp in 2017. After the acquisition, he was Vice President of Yelp’s restaurant strategy. Earlier in his career, Sykes was an executive at TheLadders, an online job-search service for corporate professionals. Wayback Burgers’s debuted a new intuitive app designed to make it convenient to purchase Wayback’s menu direct from mobile devices and tablets. Guests can discover a Wayback Burgers nearby, easily monitor the loyalty points they rack up via the Wayback Payback Rewards program, send gift cards to family and friends, and share their Wayback experience through social media connectivity. Wayback Burgers’ President John Eucalitto said the brand has further enhanced its engagement with guests via the brand-new app. The Wayback Payback Rewards program pays immediate dividends to guests who take advantage of the new Wayback App. Guests will receive a free Classic Burger after their first purchase through the app. Guests have the ability to earn one point per dollar spent. Once guests accumulate 100 points, they will earn a $10 reward. Wayback Burgers will further incentivize loyalty through a two-tier status. Classic Members (those with 0–99 points) will be rewarded with monthly double and triple point days and special offers. Gold Members (those with 100+ points) will receive all Classic-level benefits in addition to a free birthday reward, a free anniversary reward, and of course the $10 reward. Patrick Conlin, Wayback Burgers’ Senior Vice President, says the additional perks associated with the new Wayback App are a big deal for Wayback’s loyal guests. Gather added BizBash to its growing partnership program, the Gather Booking Network. Launched earlier this month, the Gather Booking Network connects restaurants and event venues with over 15 million potential event planners and opens the door to the $30 billion dollars spent on events and parties in the U.S. each year. BizBash joins a growing list of partners that includes Yelp and EVENTup. The Gather Booking Network was launched with the goal of simplifying the event booking and planning process at restaurants and other venues. Using the reach of its partners, the Gather Booking Network allows restaurants and venues to tap into a larger audience by providing new and diverse ways to promote their businesses in the top places where event planners go to find venues and book events. Venues are listed on partners’ sites and showcased in relevant search results to generate more leads. When planners find a venue and submit an event request, it’s seamlessly connected via Gather — resulting in a streamlined booking process and an exceptional customer experience. 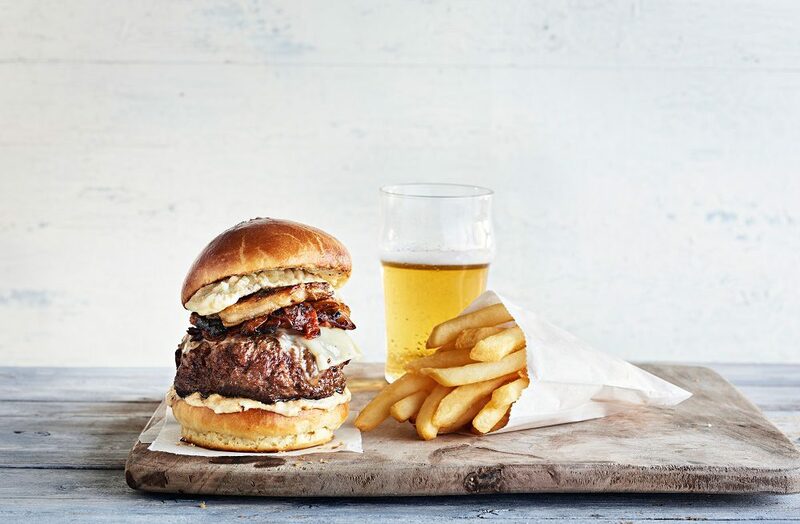 Developed in collaboration with Ernesto Uchimura, a founding chef of the original Umami Burger, the “Ernesto” is the signature offering at The Salty Dog Gastropub and the Salty Dog Grill, both found on select ships in the Princess Cruises fleet. The gastropub was unveiled in 2016 and the grill in 2017 as part of the line’s Come Back New Promise, $450 million multi-year product innovation and cruise ship renovation campaign to enhance the line’s onboard guest experience. The namesake burger consists of ribeye and short rib beef patty, grilled pork belly, caramelized kimchi, beer battered jalapeño, charred onion aioli and is topped with cave-aged Gruyère cheese. Uchimura’s creation has been voted “Best Burger at Sea” by Cruise Critic. B.GOOD hosted its first company outing at Hannah Farm on Long Island in Boston Harbor on Thursday, July 26, 2018. 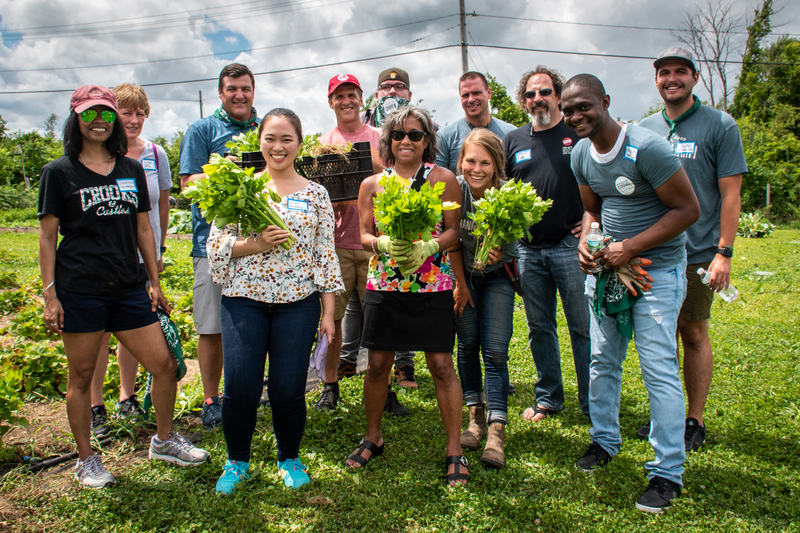 The fast-casual chain brought together 60 employees including executives, corporate employees, and district managers from the U.S. and Canada to connect around the mission of B.GOOD and the purpose of the farm. B.GOOD restored Hannah Farm in 2016 to help meet its goal of building a company that makes communities better. As part of the restoration, B.GOOD partnered with Camp Harbor View, a summer camp for at-risk Boston Youth. The partnership gives campers an opportunity to learn about farming, healthy eating, and entrepreneurship. Campers and Leaders in Training (LITs) harvest fruit and veggies that are incorporated into their daily meals while at camp, and get sent home to their families via the Friday Harvest Bag Program. The remaining crop is donated to local organizations or used in local B.GOOD stores. Last year, the farm grew 12,300 pounds of produce and donated 75% of it to local organizations that help people who need fresh healthy food including Camp Harbor View, Fresh Truck, and Serving Ourselves Kitchen. B.GOOD employees spent the day doing a variety of team building activities and getting a tour of the camp and farm, followed by an afternoon of farming and harvesting produce – kale, edible flowers and more for dinner. As part of the outing, the team planted cucumbers that will be sold as pickles in B.GOOD restaurants this Fall, and the proceeds will go towards funding three scholarship for local high school students. To top off the outing, Chef Tony Rosenfeld and Chef Linh Aven created a special curated B.GOOD farm-to-table dinner for everyone, which included fresh produce from Hannah Farm. In other news, B.GOOD and DoorDash announced a partnership to make delivery available across the East Coast. Customers will now be able to order delivery through DoorDash at 40 B.GOOD locations, and B.GOOD catering delivery is available at 28 locations. As part of the partnership, for every order placed on DoorDash during the month of August, B.GOOD will match every meal* with a donation to Feeding America®. B.GOOD delivery is available at 40 locations in the following markets: New Hampshire, Massachusetts, Rhode Island, Connecticut, New York, New Jersey, Virginia, and North Carolina. “B.GOOD and DoorDash share a strong commitment to connecting local communities and providing customers with a quality dining experience, whether in store or at home. We’re thrilled to launch with a mission-driven, community-first partner in our concerted effort to solve hunger, and we look forward to continuing to expand our geographic footprint with B.GOOD to reach more customers,” said Christopher Payne, Chief Operating Officer at DoorDash. As part of the new partnership, B.GOOD is also working with DoorDash Drive, DoorDash’s white label service offering, to facilitate B.GOOD catering deliveries across 28 corporate and franchise restaurants. Tunity, a technology that allows users to hear live audio from muted televisions directly on their mobile device, debuted Tunity SDK for Audio. Tunity SDK for Audio, gives any customer facing business with an App, from a small pub to large multi-unit chain restaurants, the ability to implement a white labeled version of Tunity’s patented deep learning TV audio streaming technology. This allows users to hear live audio from muted televisions directly on their existing mobile devices. Tunity SDK adds multiple touch-points with their patrons on and off premise. Increase App Usage- Customers using an app with the Tunity SDK now have the power to listen to live TV wherever they are. Customers who have used Tunity spend on average over 40 minutes of ongoing in-app engagement. Market research has long established that the longer a customer views an in-house television the greater the likelihood of increased sales for the business. Retain Customers- Even if a customer is at a competitor’s bar or restaurant, by using your app to watch TV, there is direct access to send them deals and discounts, adding off-site touch points and increasing the likelihood they return. With the SDK in place, businesses get a more complete picture of how valuable each customer is. The advantages of SDK for Audio adoption are not just limited to customer impact. Because Tunity uses a cloud-based platform coupled with each customer’s mobile device, businesses do not need to make the financial investment of additional hardware, or deal with the hassle of constant upkeep and repairs. If a bar or restaurant has a TV then they can engage with Tunity. Research has shown that the addition of televisions to almost any establishment results in increased customer activity and retention. Como partnered with MobileBytes to bring restaurants across the nation the data-driven tools that will help them know their customers better, personalize their experience, and grow visits and sales. The integration with Como Sense, Como’s flagship product, will make MobileBytes’ leading products—Online Ordering and Self Order Kiosks—even more valuable as it will provide businesses with comprehensive, granular customer purchase data, the insights to act on it, and the tools to run automated, personalized campaigns based on that data. Baldor Specialty Foods is working with two local farms, Hepworth Farms of Milton, NY and Satur Farms of Cutchogue, Long Island, to bring second cuts and aesthetically imperfect produce to market. Launched as the Imperfect Produce Program, the initiative creates a market for the perfectly good and nutritious, locally-grown produce that would otherwise go to waste. Currently, Hepworth Farms is supplying freshly picked, but aesthetically imperfect, zucchini, peppers, eggplant, cucumbers and tomatoes to the new program. Satur Farms is supplying second-cut kale and a kale spinach mix. Baldor makes this completely safe, usable and locally-grown produce available to its network of restaurant owners, top chefs and institutional food suppliers. Baldor plans to expand the service to additional farms in the near future. To learn more about Baldor’s Imperfect Produce Program, click here. 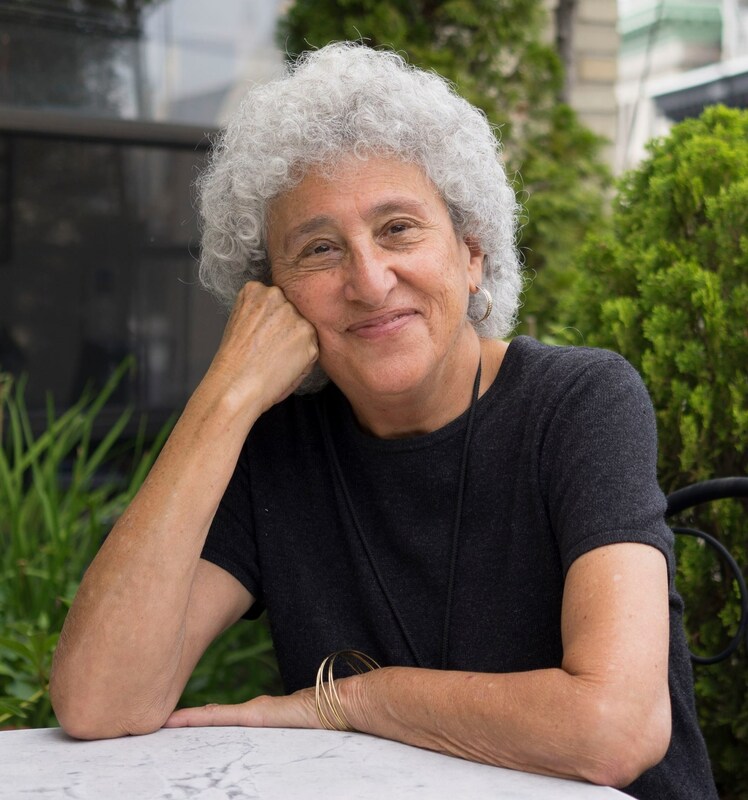 Les Dames d’Escoffier International announced its 2018 Grande Dame Award Winner, Marion Nestle, the internationally recognized researcher, degreed nutritionist and author who has been named by Forbes Magazine as number two of “the world’s seven most powerful foodies.” Marion known worldwide for her vast nutritional knowledge and passionate food advocacy. Called a food fighter for her efforts in establishing a food movement that calls on people to leverage food for political change, Marion is Paulette Goddard Professor of Nutrition, Food Studies, and Public Health, emerita, at New York University (NYU), in the department she created and chaired from 1988-2003, and from which she retired in September 2017. She is also Visiting Professor of Nutritional Sciences at Cornell University. She is the author of six prize-winning books: Food Politics: How the Food Industry Influences Nutrition and Health; Safe Food: The Politics of Food Safety; What to Eat; Why Calories Count: From Science to Politics (with Dr. Malden Nesheim); Eat, Drink Vote: An Illustrated Guide to Food Politics; and Soda Politics: Taking on Big Soda (and Winning). She also has written two books about pet food, Pet Food Politics: The Chihuahua in the Coal Mine and Feed Your Pet Right (also with Dr. Nesheim). Her forthcoming book, Unsavory Truth: How Food Companies Skew the Science of What We Eat, will be published on October 30. LDEI’s Grande Dame Award honors a lifetime of outstanding professional achievement, excellence, and charitable/community contributions within the culinary industry and is bestowed biennially. Nestle, fifteenth recipient of this international honor, will receive her award at the LDEI Annual Conference Gala Dinner in Seattle, WA, on October 12th.